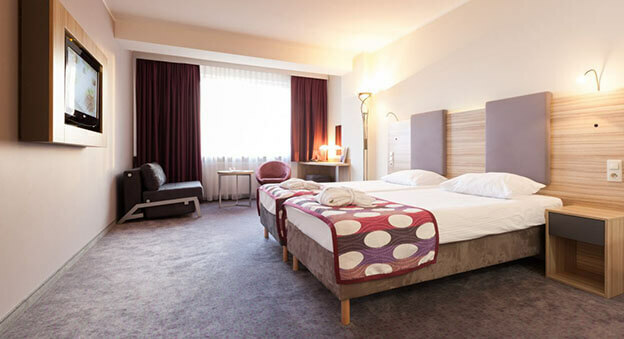 The hotel offers a huge variety of rooms: Standard, Business, Suite and Family rooms. For the guests who have decided on the Spa treatment the hotel offers a number of themed rooms: Egiptian, Turkish, Mediterranean and more. Located by the Vistula river, about 1.3 miles from the Old Town, close to the former Jewish district of Krakow.